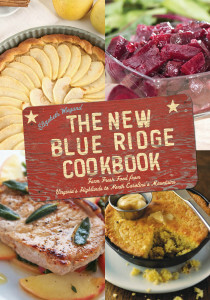 THE NEW BLUE RIDGE COOKBOOK takes a fresh look at local, seasonal foods and honors efforts of sustainability, as well as the area’s rich culinary history. 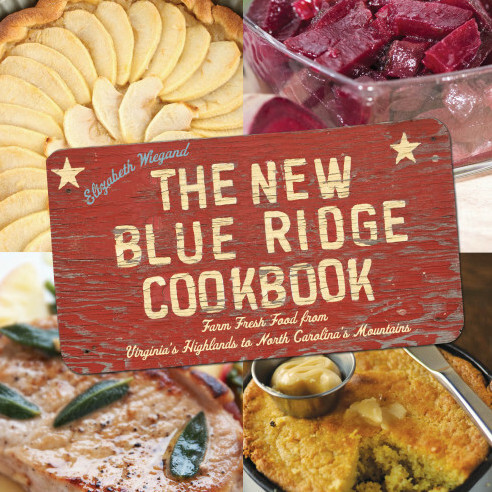 With over 100 recipes showcasing such traditional foods as apples, candy roasters, and ramps, the book presents new approaches by chefs, farmers, and others in the know – while also sharing amusing anecdotes and culinary traditions, as well as information about the region’s artisanal food products, local beers, ciders and wines. From METRO: With a farmer’s daughter’s sensitivity, Wiegand researched the book by traveling the area, talking to farmers and chefs about the products they grow and use in these recipes. Wiegand’s enthusiasm shines through in the engaging background stories preceding each dish. 150-plus recipes- For soft shell crabs. Shrimp and grits. Traditional Outer Banks style clam chowder. Tuna with wasabi. 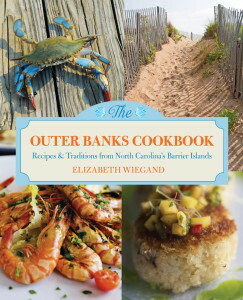 Gathered from contemporary chefs, old-timers, and good home cooks who make their home on the Outer Banks. Tips on how to deal with fresh fish, clams, oysters…….. Intimidated by fresh seafood? Don’t know how to cook it? You’ll find out how to buy, store and use fresh seafood. Read about contemporary chefs and fishermen- Learn how Rusty Midgett catches waves for surfing and the freshest catch at the dock for his Buxton restaurant, Rusty’s, or how Vicki Basnight pulls crab pots for Basnight’s Lone Cedar. Or about ClamLady Jane who works the waters of Ocracoke. 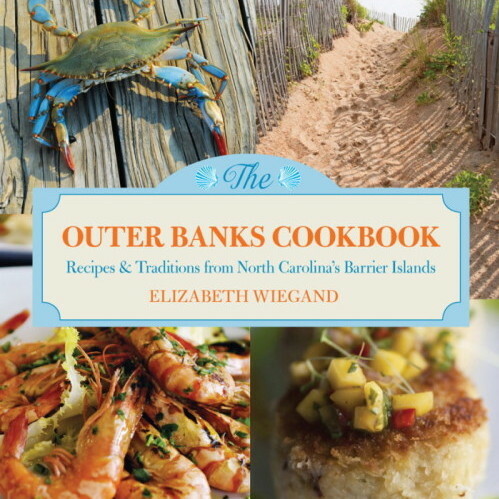 Learn the culinary history of the Outer Banks. Like how the Wright brothers felt like they were starving to death, how windmills dotted the sands of the Banks, how shrimp was traded as fertilizer, and how the Native Americans welcomed those destined to become the Lost Colony. Wanna know where to find a divine crab cake? Or crab granades? Or where to take crabby kids? Or where to buy blue crabs already steamed, or where they’ll clean soft shells for you to cook back at your rental cottage? 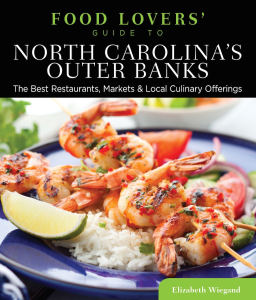 Then look in my FOOD LOVERS’ GUIDE TO NC’S OUTER BANKS to get an insider’s expert foodie guidance. You’ll find where to quaff local beer . . . the stories behind some of favorite food spots . . . where to find local veggies . . . the best places to watch the sun go down with a cool drink in hand . 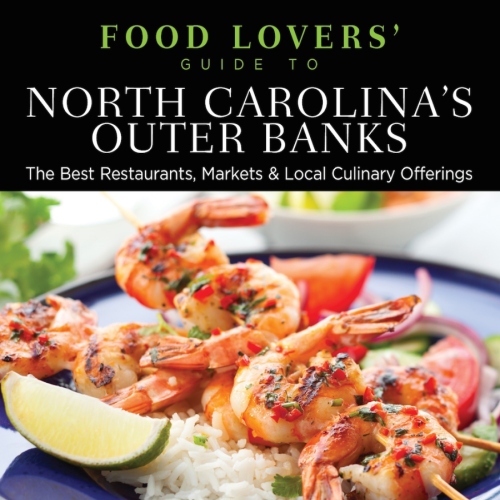 . . plus info about food festivals and anything else that has to do with food on the Outer Banks! Get a handle on the price that cute little place down the beach charges, or the address and website of a great recommendation.